The following is a guest post courtesy of David H. Schwartz, Ph.D. of Innovative Science Solutions LLC and Nathan Schachtman, Esq. Establishing a rigorous and reliable causal inference between an exposure and an adverse health outcome is one of the most difficult things to do in the health sciences. However, it is sometimes even more difficult to effectively and appropriately demonstrate that a causal relationship does not exist. The difficulty of this task was illustrated in the most recent talcum powder trial in St. Louis, Missouri. 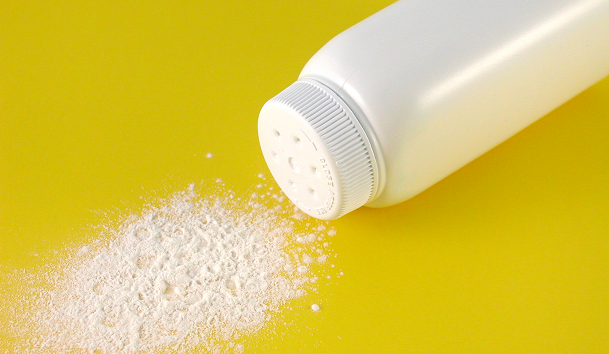 As was widely reported, Johnson & Johnson and talc raw material producer Imerys received the third (and largest) plaintiff verdict in their four recent talc trials (3 plaintiff verdicts and one defense verdict). Having the enviable opportunity to watch the trial (in real time or on demand) on Courtroom View Network’s website provides an invaluable opportunity to review and learn from an important ongoing mass tort action. At this trial, the defense put up a single expert witness, Dr. Huh, a clinician who defended the aggressive and wide-ranging scientific claims advanced by plaintiff’s expert witnesses in a number of scientific disciplines, including epidemiology, clinical medicine, and pathology. Dr. Huh, a skilled and experienced ObGyn and a clinical gynecological oncologist, attempted to neutralize plaintiff’s scientific allegations made by putting the clinical characteristics of the patient into context, while dismissing the many statistically significant epidemiological studies touted by plaintiffs as adequately establishing a causal inference for talcum powder and ovarian cancer. In his cross examination, plaintiff counsel continuously barraged Dr. Huh with technical observations relating to the large body of epidemiologic studies that plaintiff expert witnesses claimed demonstrated that talc exposure caused ovarian cancer. From the perspective of a scientist who has consulted with many product manufacturers alleged to cause cancer and other chronic diseases, and a lawyer who has tried many science-based cases over the past 32 years, this most recent trial illustrates some important and emblematic issues that arise in pharmaceutical, medical device, and toxic tort cases. We provide 10 such observations below. Unlike other legal cases where there is a paucity of epidemiologic data showing statistically significant associations between an exposure and a disease endpoint, in this case there are many epidemiologic studies – and even some meta-analyses – that invite plaintiffs to make the claim that the available scientific evidence meets the Bradford Hill criteria. Therefore, it is critical to provide the jury with a lucid understanding of why the Bradford Hill criteria are utilized and how they should appropriately be applied. Indeed, the Bradford Hill criteria were developed for a situation exactly like the talc litigation; that is, a relatively weak association is reported and scientists want to determine whether that association should validly and reliably be considered causal. Knowledge of the role of genetic data related to ovarian cancer is moving at breakneck speed. Indeed, a study was published in March identifying nine new susceptibility loci for different epithelial ovarian cancer histotypes. While these data may or may not have been relevant to the individual patient in the Slemp trial, there is no way to know unless the defense had a full genome sequence of the plaintiff’s germline. Such information could conceivably be aligned with newly published data to demonstrate that her genetic profile was consistent with the development of ovarian cancer. Not surprisingly, in his cross examination of Dr. Huh, plaintiff counsel repeatedly referred to the many case-control studies that reported statistically significant associations between talc and ovarian cancer to support the view that the Hill criterion of “consistency” was met. Dr. Huh repeatedly attempted to rebut this assertion, but failed to make a clear argument as to why these multiple studies failed to support the criterion of consistency. He did refer to the fact that the cohort studies disagreed with the case control studies, but failed to clearly articulate his interpretation of that discrepancy. At the end of the day, it is not at all surprising that multiple confounded and biased studies all demonstrate the same association. To truly demonstrate the criterion of consistency, one must show that the same results are obtained when using different study methods. Indeed, when a different study design is utilized (cohort studies), the association vanishes. One can posit methodological flaws in the cohort studies (misclassification bias as was repeatedly stated by plaintiff counsel), but flaws can also be posited for the case control studies (recall bias and confounding). The point is that repeating the same poorly conceived study design over and over does not constitute consistency and that the criterion of consistency is therefore not met in this data set. An example, such as the strong relationship between Vitamin A and cancer prevention might have helped. In observational studies, Vitamin A is clearly associated with a reduction of lung cancer rates based on multiple observational studies. When the claim was tested in randomized clinical trials, the claim failed miserably; indeed, Vitamin A might even increase the rate of lung malignancies in those who took supplements. Similarly, hormone replacement therapy (HRT) was once thought to decrease the risk of cardiovascular disease based on multiple observational studies. It was not until a large randomized controlled trial was conducted that the putative association between HRT and cardiovascular benefit was discredited. Alleged conflicts of interest were raised repeatedly in accusatory tones, suggesting that any research that J&J funded could not be trusted. Furthermore, suggestions were made that J&J controlled where funding was allocated through their contributions to the National Institutes of Health. These arguments must be addressed aggressively and should not be allowed to hang in the air without response. Plaintiff counsel confronted Dr. Huh with allegations by plaintiff’s pathologist about the type of cancer from which plaintiff suffered. Because Dr. Huh is not a pathologist and because he did not look at plaintiff’s pathology sides, he attempted to use his clinical impressions and medical records to counter the pathological evidence offered by the plaintiff’s expert witness in pathology. The defense seemed enamored of a “less is more” strategy, but forcing expert witnesses into testimony beyond their expertise requires fortitude and perhaps luck. Throughout his cross examination, plaintiff’s counsel confronted Dr. Huh with statements from web sites and textbooks suggesting that talc caused ovarian cancer or where talc is listed as a risk factor for ovarian cancer. Many times, such statements referred to a putative association as opposed to a causal relationship. It is critical to point out their inherent weaknesses, including the fact that they have been cherry picked and to counter with other authoritative sources where talc is not listed as a risk factor and/or the causal link has been questioned. It is also important to be ready with other risk factors that could be equally likely to be linked to ovarian cancer and to emphasize that focusing on talc is arbitrary. The plaintiff is this recent trial was morbidly obese, an undisputed risk factor for ovarian cancer. As with the lack of consistency argument (#3, above), rebuttal of this contention would be effectively guided using specific examples. For instance, many textbooks and other authoritative sources stated that HRT had cardiovascular benefits based on multiple observational studies. The fact is that these statements were wrong. The talc defense strongly asserted the view that cohort studies are necessarily better than case control studies. While this contention is generally true (all factors being equal), it is not always true and it leads to some effective cross examination (e.g., the general assertion that cohort studies may suffer, in some instances, from misclassification bias). As one of us (NAS) stated in a recent post related to the California Science Day hearings, there is no reason to make the blanket statement that cohort studies are always better than case control studies. Rather, the general point can be made that each study type has its appropriate use and that in this case, the findings from studies using the two different methodologies do not agree with each other. Clearly, the role of differential recall is just as likely to bias a case control study as the role of misclassification is to bias a cohort study. This leaves the evidence at a draw at best. In a case involving so many complex disciplines, it does not seem tenable to address all of them with a single expert, even one as well qualified and experienced as Dr. Huh. Many defense lawyers firmly believe in the “less is more” strategy, but complex scientific data sets such as these necessitate a complete presentation of the exculpatory evidence. Although it is easy in hindsight to criticize trial strategy, forcing a clinical oncologist to address pathology, toxicology, and epidemiology places an unfair burden on the lone witness. Certainly, a jury may be more prone to view an expert witness, who is willing to testify outside his area of expertise, as a hired gun advocate. Because of the nuanced nature of the defense case (i.e., statistically significant associations demonstrated in observational studies may not be causal in nature), it is critical to use terms consistently and carefully. Terms such as “association,” “link,” “causal inference,” and “causation” must be carefully defined and utilized judiciously and with clear intent. Of course, looking at testimony in hind-sight is always 20/20. As stated at the outset of this piece defending the assertion that an exposure is not causally related to a clearly defined injury is one of the most difficult things to do in the courtroom, especially when this is attempted through a single expert witness and there are numerous studies purporting to make such a link. Nevertheless, some extremely critical lessons can be learned from this experience to guide future cases. David H. Schwartz, Ph.D. is a founding partner of Innovative Science Solutions, LLC, a consulting firm that specializes in assisting counsel with litigation involving complex scientific issues, including toxic torts, pharmaceutical and medical device cases, consumer fraud cases, and patent disputes. Nathan Schachtman, Esq., has lectured and published widely on expert evidence issues. His interests include access to underlying research data, the use of statistical and epidemiologic evidence in court, medico-legal causation and screenings, the reliability and admissibility of scientific evidence, and historian expert testimony. He is an elected member of the American Law Institute, a fellow of the American Bar Foundation, and a lecturer-in-law at the Columbia Law School.